You like us! You really like us! Well then feel free to shoot me (Eric) an email via the form below and I’ll get back to you as soon as I can. For a faster response you can always tweet me. 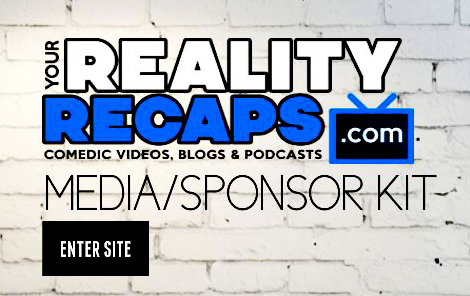 Oh, and speaking of twitter… be sure to add Your Reality Recaps to your favorite social media site! It’s easy just click an icon in that “FOLLOW US” section to your right… then friend, add, subscribe, follow, pin or whatever the latest verb is for said site. Ok, so what are you waiting for? Go! Add me so I can feel special. You know you want to. Want EXCLUSIVE Content You Wont See On The Website? Then sign up for our weekly news letter? I’m not gonna spam you and we wont sell your info. But once a week (more like every other week) we will send out a news letter with what you may have missed. Plus we will include some special content that we can’t post on the website… what could it be? Guess you’ll need to sign up to find out! If it’s not related to a business matter, then please use this form below to contact us. Of course contacting us via social media (click the icons in the “FOLLOW US” section above) is your best bet to get us quickly.